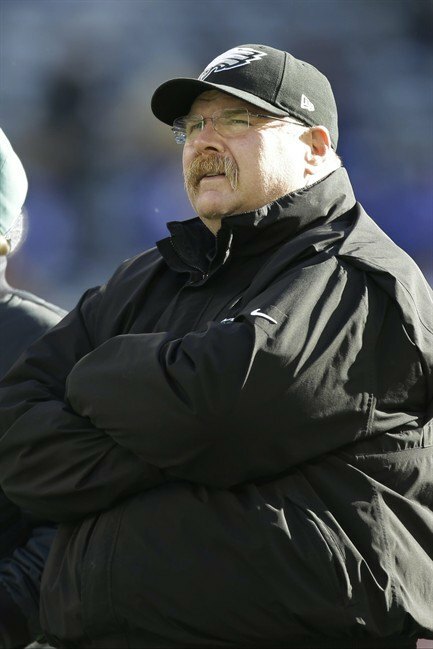 After being fired by the Eagles, where will Andy Reid be coaching next? While there are a surprise or two every time we get to the NFL's "Black Monday" where we see a coach that gets fired that takes some folks by surprise, the majority of firings are widely expected. That's the case we have with Andy Reid, who has been fired by the Eagles after serving as their head coach for fourteen years. We all have expected Reid to get the ax for several weeks now as the Eagles completely fell apart as it was apparent that the Eagles needed a change at the top to go forward. That said, Reid is only 54 years old and did have a very successful tenure in Philadelphia, becoming the most successful coach in team history, so like Jeff Fisher, he will have another job if he wants it, perhaps as soon as next season. So what is next? When looking for potential matches for Reid, the first team that comes to mind is the San Diego Chargers. Reid is a Southern California native and thus taking on the Chargers job would be a bit of a homecoming for him. Also, he may find it intriguing to work with Philip Rivers, who has seen his play slip a little bit over the past few years but is still a very talented qaurterback and still in his prime. Also, the Chargers have a vacancy at the general manager slot due to A.J. Smith finally getting fired and thus San Diego would be able to give Reid the kind of decision making ability with regards to personnel that he had in Philadelphia. Plus, it has been reported by Albert Breer that the Chargers have hired former Packers general manager Ron Wolf as a consultant and it is important to note that Reid was an assistant with the Packers for much of Wolf's tenure. The Chargers do appear to be the favorite but with the high number of jobs available, Reid will have his options. There have been some reports that the Cardinals could be a potential fit for Reid and there he would have essentially a blank slate at quarterback due to the disastrous play at that position there in the desert, although there would also be a Kevin Kolb reunion with Reid, for what that's worth. Rumor has it that Jaguars owner Shad Kahn will be willing to open up the checkbook to lure Reid to the River City, if Reid were to be interested in that job, which is not even open yet. The new president of the Cleveland Browns in Joe Banner, who was the president of the Eagles for much of Reid's tenure, so there is a potential connection there and who knows, maybe Reid could be intrigued by the Chiefs and their top overall selection in the draft. But since Reid could practically pick what job he wants, he also could take a year off if he does not find a job to his choosing, like Fisher did last year. And who knows, with the turmoil that went through his family after his son tragically died over the summer, Reid may want that year off. He has said, though, that he does want to coach next year, so we shall see what will develop.